2017: A Day @ Mysuru Zoo - A 25 minute film to commemorate 125 years of the zoo. Producer/Director/Cameraman. 2016: Race to Save the Amur Falcon - A 20 minute film on the campaign to save the Amur Falcon. Producer/Director. 2015: Conservation Conversations - 5 episodes for the web. Producer/Director. 2014: Making Room for Nature, By Helping People - A 20 minute film for Wildlife Conservation Society – India Program. Writer/Director. 2014: India's Disappearing Beaches - A wake up call - A 14 minute film for PondyCAN, Writer/Director. 2013: Chilika – Jewel of Odisha - A 21 minute film for Chilika Development Authority, Writer/Director/Cameraman. 2013: Managing Chilika – A 15 minute film for Chilika Development Authority, Writer/Director. 2012: The Amur Falcon Massacre - A 3 minute film for Conservation India, Writer/Director. 2012: 25 Years With Tigers – A 17 minute film for Wildlife Conservation Society – India Program, Writer/Director. 2010: The Truth about Tigers – A 40 minute film for Trust for Environmental Education (TREE) Writer / Director. 2009: SOS – Save Our Sholas – A 24 minute film for Trust for Environmental Education (TREE) Writer / Director/Cameraman. 2008: Sequence cameraman, Crocodile Blues – for Icon Films/BBC Natural World. 2008: Sequence cameraman, The Dragon Chronicles – Icon Films/BBC Natural World. 2007: Monitoring Tigers and their Prey – A Training Video for Wildlife Conservation Society and Centre for Wildlife Studies. Producer/Cameraman/Scriptwriter. 2006: Point Calimere – Little Kingdom by the Coast - A 25 minute film for Tamil Nadu Forest Department. Producer/Cameraman/writer. 2005: Sequence cameraman, Super Size Crocs – Icon Films, UK. 2004: Sequence cameraman, The king cobra and I – A one hour film for Icon Films/BBC. 2004: Kanha – Protecting a paradise – A short film for Centre for Environment Education (CEE) and M.P. Forest Department. Producer/Cameraman/Writer. 2003: Panna – Jewel of Central India – A short film for Wildlife Institute of India and Madhya Pradesh Forest Department. Producer/Cameraman/Writer. 2003: Kudremukh – A Unique Wilderness – A 15 minute film for Karnataka Forest Department. Producer/Cameraman/Writer. 2003: The Killing Fields – Orissa’s appalling turtle crisis – Producer/Cameraman/Writer. 2002: Turtle Telemetry – A short training video for Wildlife Institute of India. 2001: Turtle Excluder Device – An Introduction – A short instructional film made for Wildlife Institute of India. Producer/Cameraman/Writer. 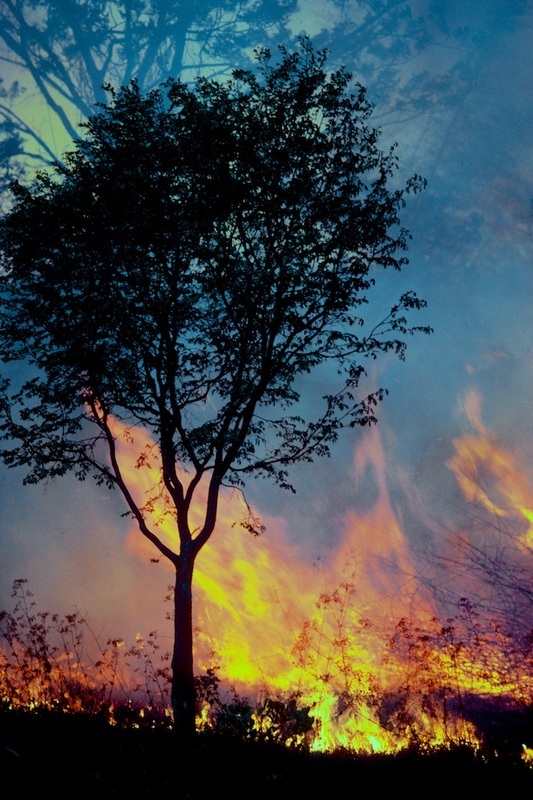 2001: The Ridley’s Last Stand - A self-financed production for conservation awareness. Producer/Camerman/Writer. 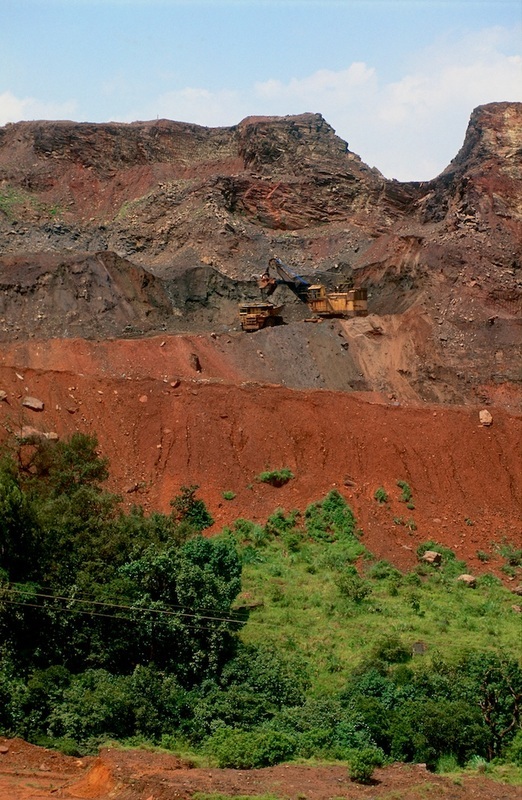 2001: Mindless Mining – the tragedy of Kudremukh – Director/Writer. 2000: Sequence cameraman, Muggers of Spice Island - National Geographic Television. 1999: Monsoon: India’s God of Life - Natural History New Zealand. Producer/Cameraman. 1998 : Sequence cameraman, Thunder Dragons - National Geographic Television. 1997: Sequence Cameraman, Land of the Tiger - BBC Natural History Unit, UK. 1997: Nagarahole – Tales from an Indian jungle - Producer/Cameraman/Writer. 1994: The Good Snake - National Geographic Television, Producer/Cameraman. 1993: Wildlife cameraman, Rat Wars - National Geographic Television. 1992: Sequence cameraman, Wild India - Channel 4, UK. 1990: Silent Valley – An Indian Rainforest – Director/Cameraman. 1988: Seeds of Hope – Director/Cameraman. 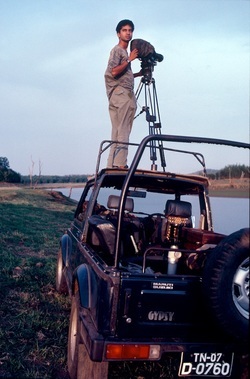 1987: A Cooperative for Snake Catchers – Director/Cameraman. 1986: Project Tiger - Sanctuary Films. Cameraman for two 1/2 hour episodes. 1985: Snakebite – Assistant Director.